Sometimes, Siri just isn’t enough. When you need advice or guidance from a higher power, then Apple’s seemingly God-like virtual assistant just can’t cut it, and that is when you need to turn to Advice From the Gods. Joking aside, Advice From the Gods is actually an excellent app that can serve more than one purpose. Yes, it is interesting to get comparisons between the major religions, in a thoughtful and revealing way, but for many people, it is applying the actual words from scripture to their own lives that will be far more thought-provoking and insightful. 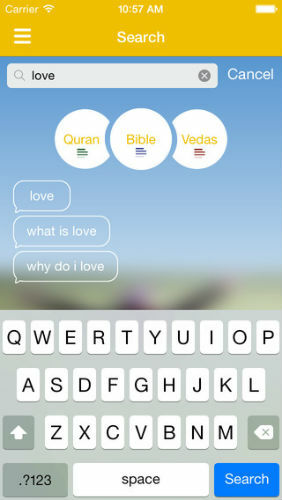 There are even some who are on the cusp of choosing between the three major religions, who will truly benefit from the fascinating app. Even if none of the above apply to you, then this still provides a startling insight into the culture and beliefs of the three religions, through the holy books; The Bible, The Quran and The Vedas. I would genuinely recommend anyone with even a passing interest in the subject to take a look at this app. I found it remarkably interesting, and I am sure many other people will feel the same, regardless of their religious persuasion. The app is completely free, but is ad-supported, although these can be removed for a small fee. 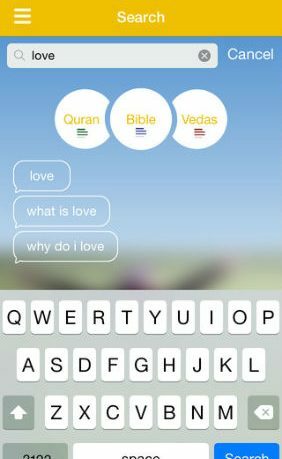 Advice From the Gods is very easy to use and features a modern, well designed interface that is intuitive and attractive, It is clear the developer put a lot of work and thought into this aspect of the app, as it does look and feel a lot better than many other religious apps out there. I would highly recommend anyone checking this out, as it provides some of the most thought-provoking ideas and content on iOS, presented in a way that is at once both challenging and refreshing. Fascinating, and also available for Android here.